Family: Irvine K. Heyward (father), Nina Heyward (mother), I.K. Heyward, Jr.
action, according to a message received today by his mother, Mrs. I. K. Heyward. – Source: The State, Columbia, S.C., 5 July 1944, p.11. from him received by his relatives were written about 10 days before D-day. Mrs. I. K. Heyward, of 119 Broad Street. Commander Heyward was in Charleston on leave several months ago, after serving a tour of duty in the Pacific. where there were high winds and heavy breakers. Biscayne bay, they found the other vessel lying within 100 feet of them, and managed to collect damages. B. King, now in New York, and Mrs. C. R. Dial, of Columbia, and a brother, I. K. Heyward, Jr., of Charleston. – Source: News and Courier, Charleston, S.C., 5 July 1944, p.12. 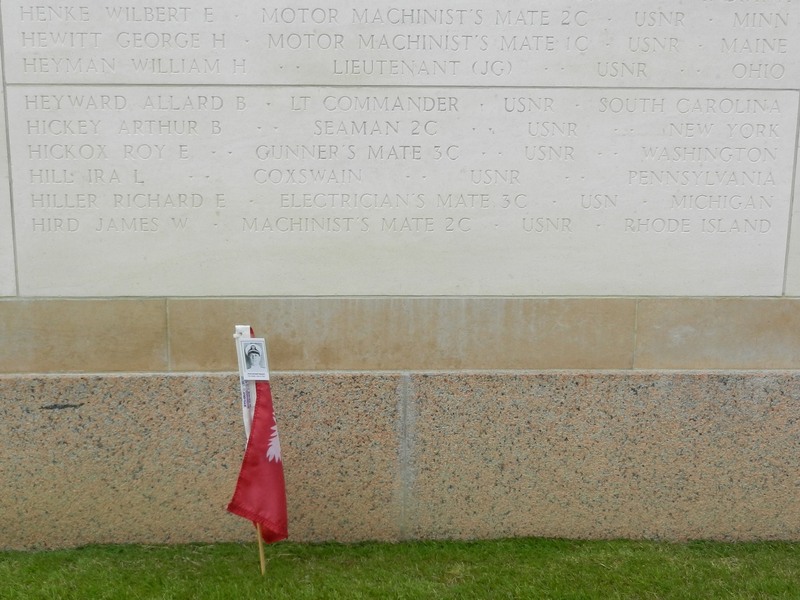 – Source: Text on cenotaph, Magnolia Cemetery, Charleston, S.C.
On 5 June, Tide got underway from Tor Bay with Minesweeper Squadron “A”, a unit assigned to the Utah Beach area. Tide swept channels off the Normandy beaches for fire-support ships and continued sweeps the next day, “D-Day”. flooding. Tide’s commanding officer — Lt. Cdr. 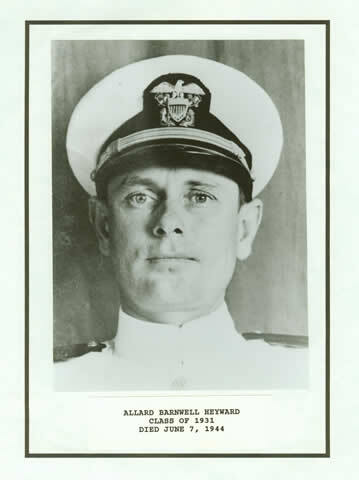 Allard B. Heyward — died soon after the initial explosion, and Lt. Cdr. George Crane — the ship’s executive officer — directed efforts to assist the stricken vessel and to rescue survivors. ship to the beach, the strain broke her in two. She sank only minutes after the last survivors had been taken off. Her name was struck from the Naval Vessel Register on 29 July. Miss Nina Barnwell Heyward married Mister Caldwell Robertson Dial, The Citadel, Class of 1933.